If you are organizing a small business, you eventually are going to need to find a lawyer for your business. Like accountants, lawyers are indispensable aides for small business owners. A talented and well-respected business lawyer will offer you much needed help in all aspects of your business. It takes knowledge and experience to navigate the system and deal with zoning laws, trademark infringement, business incorporation, and general liability. Hiring a business lawyer gives you that valuable resource at a moments notice. The first general rule when hiring a business attorney is that if you are being sued, then it is too late. The purpose of hiring an attorney is to keep you and your business out of the courts. Once the legal process has started, usually with a summons, the attorney is now limited in what he or she can do for you. The focus at that moment is strictly on problem resolution and damage mitigation. Attorney fees increase dramatically the minute they step foot into the court room. It is much more economical to find a lawyer for your business that can keep you out of court rather than to hire one once you are already in court. The amount of money in small business attorney fees that you will pay to keep yourself out of trouble will be far less than what you will have to pay when you are actually in trouble. Fees are higher for larger and well respected firms. These large firms have a larger overhead to consider, and therefore they charge higher hourly rates. Although they are more expensive, large firms have some important advantages. Over the last few decades, the practice of law has become increasingly specialized. 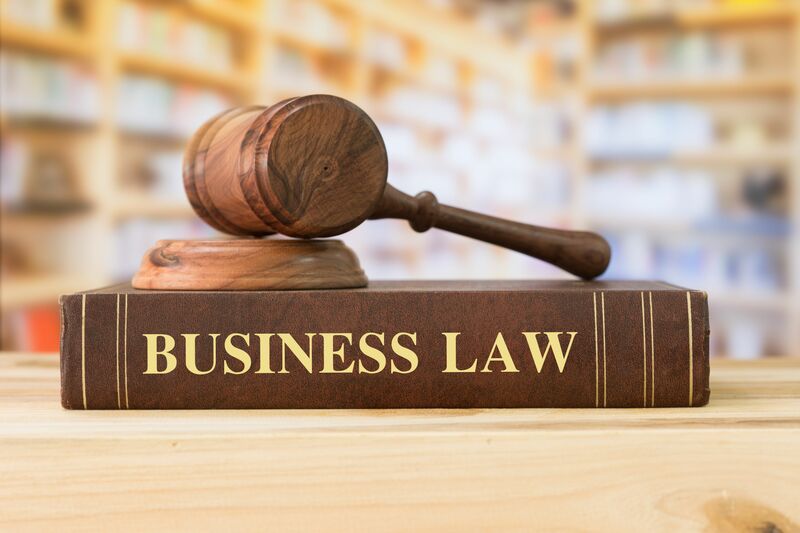 It is very hard for a single business lawyer to be an expert in every aspect of business law. Filing lawsuits, negotiating business deals, filing for patents, and terminating boisterous employees all require a level of competence that is difficult for a sole practitioner to possess. By choosing to be represented by a large firm, you have access to a number of experts in each facet of business law. These larger firms have separate divisions that deal with intellectual property, incorporation, product liability, human resources, contracts, and any other area of the law. These big firms also have more negotiating clout. A written legal memorandum from a firm with offices in 20 states is much more powerful than a letter written by sole practitioner whom might not even be licensed to practice in the state where the letter is being sent. Less obviously, these large firms provide a networking opportunity as they can lend their name to give you an added degree of recognition. When it is time for you to find a lawyer for your small business, you should start first by asking for referrals. It is a good idea to ask people in the legal profession for these referrals, because lawyers know which peers are qualified attorneys, and which are not. When you have gathered some names to consider, request a list of their clientele so you can determine if their firm has experience representing businesses similar to yours. Ask for references, and contact them to discuss their experiences with the firm. You should also go the American Bar Association website to make sure that the firm you are considering has a good reputation and are in good standing in your community. Towards the end of the process, arrange a personal meeting with members of the firm you are considering to gauge whether there is enough rapport to build a successful working relationship. Using price as a determining factor is dangerous. The best corporate lawyers are in a position to charge more for their services. They are also the most likely to keep you out of expensive legal entanglements, which in turn will result in big savings to your bottom line and your business reputation.